All orders are processed and shipped within 2 business days of receipt. We package and ship our vinyl records with the greatest care, using extra-thick packaging to ensure that your rare and collectible vinyl records arrive in pristine condition. Note: All domestic shipments are insured. Note: Double LPs, box sets, etc. will incur additional shipping costs as indicated above. Record Grading Grade Explanation SS Still Sealed In factory-fresh condition. M Mint I don't use this grade. M- Mint Minus A near perfect, probably unplayed record. VG+ Very Good Plus Close to like new with only superficial signs of use that don't affect play. Only well cared for records will grade out to VG+. Will satisfy all but the most demanding collector. VG Very Good A used, reasonable copy. There will be obvious signs of wear and the possibility of light surface noise between tracks or during quiet passages, but still quite nice. VG- Very Good Minus Significant wear and marks and usually quite noticeable surface noise. G+ Good Plus In the record world, 'Good' is not good! From here on down (Fair, Poor), we're talking about beat-up records. * Unless noted, every record is an original issue for the label and catalog number. 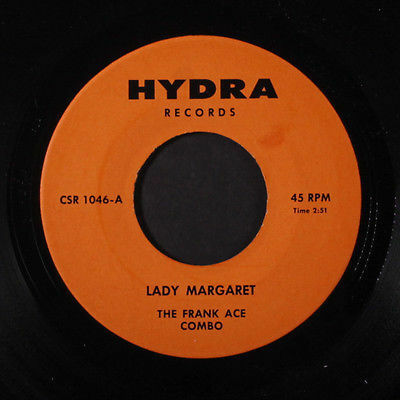 Records By Mail offers one of the most comprehensive selections of vinyl LPs and 45s available anywhere. Housed in an 8,000 square foot warehouse that currently holds over 2 million records, Craig and his talented, dedicated staff serve music lovers in more than 60 countries. Records by Mail prides itself on maintaining one of the largest selections of rare vinyl records available anywhere—online or off. We are always looking to improve the quality of our service, and we update our database every day, so expect new titles and improvements with alarming frequency. We guarantee every item we sell to be as listed. We endeavor to provide superior service, but if we make an error, we'll make every effort to make it right either by refunding all costs involved, or adjusting the selling price to everyone's satisfaction.